Are you getting all you can out of your health insurance benefits? 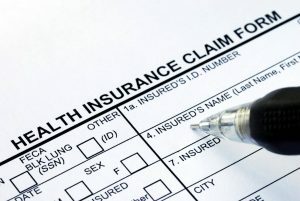 A growing number of health insurance plans now provide an array of benefits well beyond the traditional payments for medical care, but many people aren’t aware of these benefits or don’t take advantage of them. To get the most out of your health insurance plan, it’s wise to find out about all the services and benefits your plan includes and how these benefits can help you get healthier, deal with a serious illness, or lower your risk of chronic conditions like heart disease or diabetes. Mail order prescription medications: If you take medication regularly for an ongoing health issue like high blood pressure, high cholesterol, diabetes, asthma, or arthritis, there are a number of ways you can lower your costs. Ask your doctor or pharmacist about choosing generic rather than name-brand medications. Another way to lower the cost of these types of medications is to find out if your health insurance offers a mail order prescription service or if there is an over-the-counter equivalent of your medication. No cost or low cost services: Many health plans offer no or low cost flu shots and other immunizations, free or reduced cost diabetic testing supplies, and discounts on hearing tests and vision exams and glasses. At-work health screenings and health promotion programs: Your employer, in partnership with your health plan, may offer free health screenings at work for conditions such as high blood pressure, cholesterol, or blood sugar, and other common conditions. Some also have at-work fitness programs, such as walking or stress management groups, that are available during lunch or just after work. Rewards for healthy lifestyle choices: Some insurers offer cash rewards or premium discounts if you follow a healthy lifestyle such as taking part in an exercise program or joining a gym, joining a weight management program, taking smoking cessation classes, or taking part in stress management programs. Discounts on fitness equipment: Ask if your insurance plan offers discounts on fitness equipment like treadmills and fitness trackers. Some plans offer these discounts if you take part in health screenings or workplace fitness programs. Others partner with fitness equipment manufacturers to offer the discounts to all plan participants. Discounts on alternative medicine services: Find out if your plan includes discounts on alternative and integrative medicine services such as acupuncture, yoga, chiropractic care, and massage therapy. Case manager services: Many insurance plans provide people who are facing a serious illness or condition with the support of a case manager. The case manager, who in some cases is a nurse, can provide information about what benefits are available to you as well as information about the condition you’ve been diagnosed with and the available treatment options. Second opinion services: These services arrange for an experienced physician to review the results of your diagnostic tests, your current diagnosis, and the recommended treatment plan to either confirm your diagnosis and treatment plan or offer a different diagnosis or treatment approach. Health advisor services: A health advisor can provide a wide range of support services for people facing a serious diagnosis. An advisor can collect and compile all your medical records, arrange second opinions, and provide you with the latest research on conditions and treatments. An advisor can also connect you with experienced specialists to streamline the process of receiving care and take some of the burden of finding qualified physicians and hospitals and arranging appointments off your shoulders. To find out what types of benefits and services you have available through your benefits plan, talk with your Human Resources or Benefits Manager if you get your insurance through your employer or contact your insurer directly if you get your insurance through the marketplace.